It is happening with the same sort of alacrity I invest in my triennial visits to the dentist, but gradually more sports bodies are starting to publish annual accounts. FINA, governing body of swimming, one of the biggest Summer Olympic attractions, has joined this stately plod towards transparency. It looks, indeed, as if their 2015, 2016 and 2013-2016 accounts have been available for some time, but, to be searingly honest, this has only recently been drawn to my attention. It may well be, therefore, that this is not the first analysis of these figures you have read. Even so, there are a few things that strike me as worth highlighting. I should acknowledge too that I usually keep only the most cursory of eyes on FINA itself and the sports it oversees. It could be then that numbers and trends which strike me as potentially comment-worthy or odd come across as readily comprehensible to aquatics experts. If that is so, I hope that said experts will take the trouble to point this out. First, the basics: FINA generated CHF181 million (£138 million/$183 million/€157 million) in the four years of the Rio Olympic cycle (2013-2016), up from CHF122 million (£93 million/$123 million/€106 million) in 2009-2012. This was in spite of its International Olympic Committee (IOC)/Olympic Games-derived income rising only marginally, from CHF33 million (£25 million/$33 million/€28.5 million) to CHF36 million (£27.5 million/$36 million/€31 million). Unlike quite a number of International Sports Federations (IFs), in other words, FINA's business model is strong enough to be largely independent of the Olympic Games-related cheques that emanate from the IOC in Lausanne once every four years. This is underlined by the 2016-only accounts, which show that, while the IOC/Olympics provided over 50 per cent of income, the overall income figure of CHF59.5 million (£45.4 million/$60 million/€51.5 million) was actually lower than the CHF66.4 million (£50.5 million/$67 million/€57.5 million) generated in 2015. I presume this is because of the strong portfolio of showpiece FINA events: not only is there a biennial aquatics World Championship - the 2015 edition was in currently football-focused Kazan - but all even years feature a world short-course event (2014 in Doha, 2016 Windsor, Canada, this coming December Hangzhou, China et cetera, et cetera). 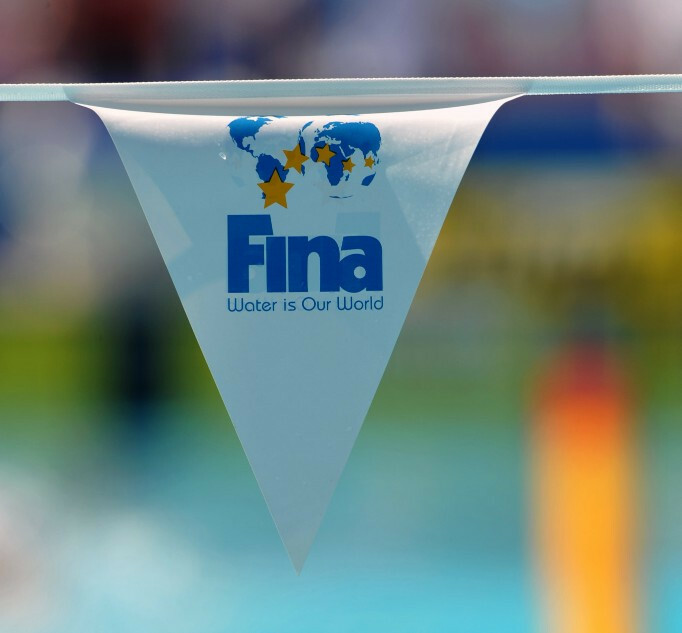 FINA has done a good job, in other words, of ensuring a relatively regular flow of cash into the organisation - an issue that can be problematic for IFs. Of that CHF181 million (£138 million/$183 million/€157 million) of 2013-2016 income, CHF134.8 million (£103 million/$136 million/€117 million) came accordingly from FINA events - up from CHF85.9 million (£65.5 million/$87 million/€74.4 million) in the London cycle. Broadcasting and sponsorship climbed quadrennium on quadrennium from CHF55 million (£42 million/$56 million/€47.6 million) to CHF78 million (£59.5 million/$79 million/€67.5 million), with a further CHF25 million (£19 million/$25 million/€22 million), up from CHF7.6 million (£5.8 million/$7.6 million/€6.6 million), classified as value-in-kind. The figures suggest that FINA has also been able to ratchet up fees: a category of income labelled "Host Cities World Championships partnership rights and fees" has soared from just CHF2.7 million (£2 million/$2.7 million/€2.3 million) in 2009-2012 to CHF16.2 million (£12.4 million/$16.4 million/€14 million) in 2013-2016 - a six-fold increase. There is good news on the asset front too, with total assets more than doubling from CHF73 million (£56 million/$74 million/€63 million) to CHF157.7 million (£120 million/$159 million/€136.6 million) in the space of a quadrennium. The 2016 figure includes CHF17.6 million (£13.4 million/$18 million/€15.2 million) for FINA's new headquarters, which it moved into in October 2016. The balance-sheet also includes CHF45 million (£34 million/$45 million/€39 million) of deferred income - up from just CHF9 million (£6.9 million/$9 million/€7.8 million) in the space of four years. Once again, this appears mainly the result of "Host Cities Partnership rights and fees", which rose from CHF6.5 million (£5 million/$6.5 million/€5.6 million) in 2012 to CHF33 million (£25 million/$33 million/€28.5 million) in 2016. So far so good, but the expenses side of the ledger gives rise to rather more questions. For one thing, these FINA events are not cheap: expenses for the Rio cycle reached CHF97.1 million (£74 million/$98 million/€84 million), up from CHF68.7 million (£52.4 million/$69 million/€59.5 million) in 2009-2012. Part of the rise is explained by increased prize money - from CHF12.8 million (£9.8 million/$13 million/€11 million) to CHF23.4 million (£17.8 million/$23.6 million/€20.3 million). However, so-called "FINA family expenses" for hotels, travel and per diems came to CHF18 million (£13.7 million/$18 million/€15.6 million) and CHF13.4 million (£10.2 million/$13.5 million/€11.6 million) seems to have gone to a marketing agent. Without knowing more detail, these look high - especially in comparison to quadrennial spend on out-of-competition drug tests at just CHF4.2 million (£3.2 million/$4.2 million/€3.6 million), up from CHF2.7 million (£2 million/$2.7 million/€2.3 million), and development activities of CHF3.5 million (£2.7 million/$3.5 million/€3 million), up from CHF1.5 million (£1.1 million/$1.5 million/€1.3 million). It could be that spending on these last two items is poised to increase: CHF19 million (£14.5 million/$19 million/€16.5 million) has been deposited over the past four years into "Development programmes reserves and funds", which stood at end-2016 at CHF23 million (£17.5 million/$23 million/€20 million) in all. A further CHF15 million (£11.5 million/$15 million/€13 million) has been allocated to an Anti-Doping Foundation. But development activities of just CHF3.5 million (£2.7 million/$3.5 million/€3 million) over 2013-2016 seem on the face of it very low – especially given that the first thing mentioned under FINA’s main objectives is "to promote and encourage the development of aquatics in all possible manifestations throughout the world". Turning to the 2016 accounts, one additional disclosure is that payroll costs were then running at around CHF5.5 million (£4.2 million/$5.5 million/€4.8 million) a year. Given that there were said to be fractionally over 30 full-time positions at year-end, this seems to average out at some CHF182,000 (£139,000/$184,000/€157,500) per full-time employee - a tidy wage. There is one other oddity for those of you for whom the name ISL – a collapsed sports marketing company – rings a bell. Note 5 includes an entry for "Blocked bank account – ISL liquidation"; this stood at CHF261,074 (£199,199/$263,685/€226,090) at December 31, 2015 and zero a year later. Turning to Note 11 of the 2013-2016 accounts, one reads: "The bankruptcy of ISLand its related subsidiaries, who provided marketing services to FINA, was declared on April 21, 2001. "Following the official closing of this bankruptcy in 2016, cleared the unrecovered amount against the provision provided in previous years." It took 15 years, or so it seems, for the last remnants of FINA’s dealings with ISL to disappear from its accounts. The wheels of the financial reckoners appear to turn exceeding slowly. Alan Hubbard will return tomorrow. 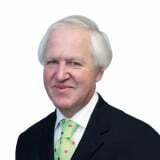 David Owen worked for 20 years for the Financial Times in the United States, Canada, France and the UK. He ended his FT career as sports editor after the 2006 World Cup and is now freelancing, including covering the 2008 Beijing Olympics, the 2010 World Cup and London 2012.